Home - Reforestation Group International s.a.
"Enhance production on a sustainable basis"
Established in 1996 and is situated in Costa Rica. The company RGI s.a. are the owner of several teak plantations (Tectona grandis L.f.; Teak). R.G.I. is not in any sentence involved in logging from natural forests. Aside daily commitments to maintenance and timber sales, the company focuses also on improvement on existing- and towards new- markets fo the product (teak logs). 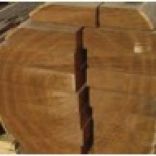 * As reported separately in this newsletter, the market of teak has dropped drastically due to the high production of teak, the pressure on the exchange market and the overall economic instability. There is a pessimistic pessimism to a possibility of positive recovery in at least 5 to 10 years future, not even to the level of a Status Quo of today’s prices and demand. The attached letter was estimated in July 2018 and when September came it was already a worse scenario than predicted. * Costa Rica has changed on many aspects of its tax policy and the tax exemption of standing trees for export has been redrawn, for RGI this means a 13% sales tax over all the trees that are being sold. Additionally, the overall tax increases have resulted in higher operational costs, maintenance cost, harvesting and sales cost etc. * Climate situation has been in moments extreme, not only here but for Costa Rica the summer became very short this year and the winter has been very wet. The maintenance has been complicated and expensive.